Over the course of the brand’s 65 year history, adidas has literally earned its stripes. The world of sneaker technology is fast moving, multifaceted, and highly competitive, but adidas has made the right power moves throughout the years to keep the Three Stripes sitting near the top of the footwear throne. Like all companies, there have been some rough patches, including a family feud and extensive death, but the right innovations have helped adidas maintain and prosper. From the pitch to the hardwood and tracks across the world, adidas’ breakthroughs have been helping athletes reach their peak performance for over half a century. The first screw-in soccer studs? They did that. First computer built into a shoe? Yup, that was adidas too. 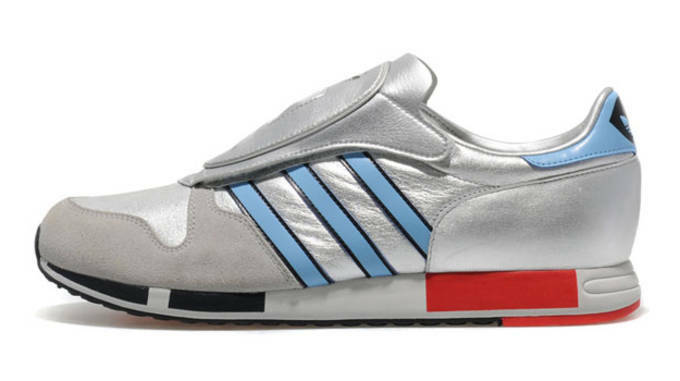 Get the full scoop with The Science Behind the Shoe: 20 Innovations that Made adidas. No. 1 – adidas changed the way indoor soccer was played. Before adidas hit the pitch, soccer boots were rather primitive. In fact, many early players literally played in their weighty work boots, which is hard to fathom in today’s world of featherweight synthetic models. The adidas Samba wasn’t their first boot, but it was a game changer because it revolutionized the way people played indoors. Its sole was specially designed for play on frozen ground, but players soon realized that it worked even better as an indoor shoe. 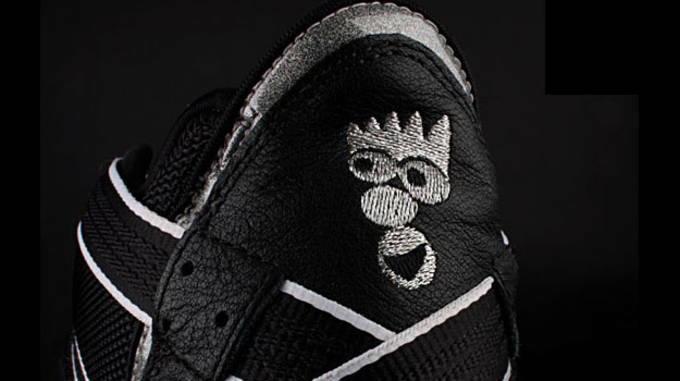 The model has undergone some style changes over the years, with the finalized version becoming an iconic casual sneaker decades later. See the original above, with the modern Samba below. No. 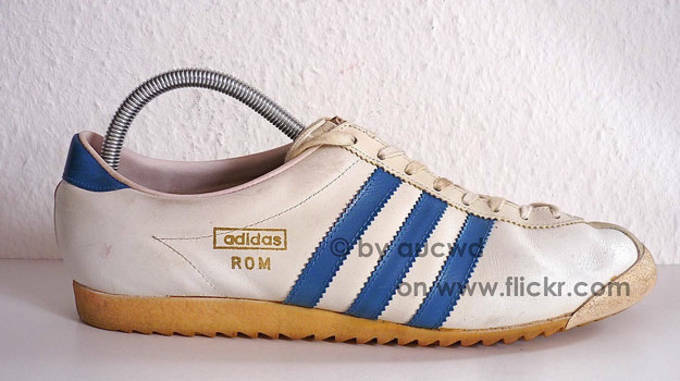 2 – The Rom was the first shoe of its kind. 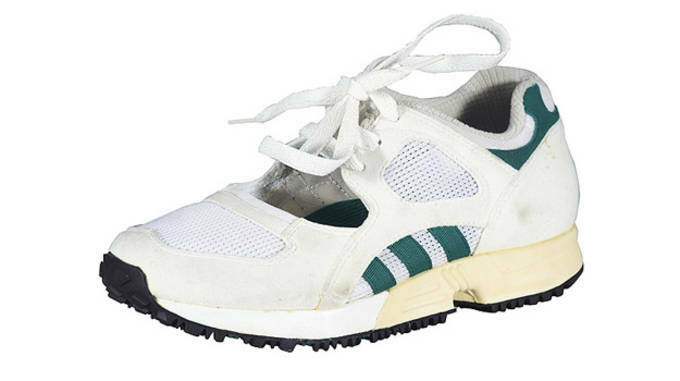 Released in 1957, the adidas Rom is notable for being one of the first sneakers intended for gym training. Not to be confused with Nike’s cross-trainers of the late ‘80s and early ‘90s, the Rom was the kind of shoe a young Arnold Schwarzenegger or Lou Ferrigno wore while pumping iron. It had a padded ankle for protection, a reinforced heel for support, and a rubber toecap for durability. Not bad for a 1957 trainer, huh? No. 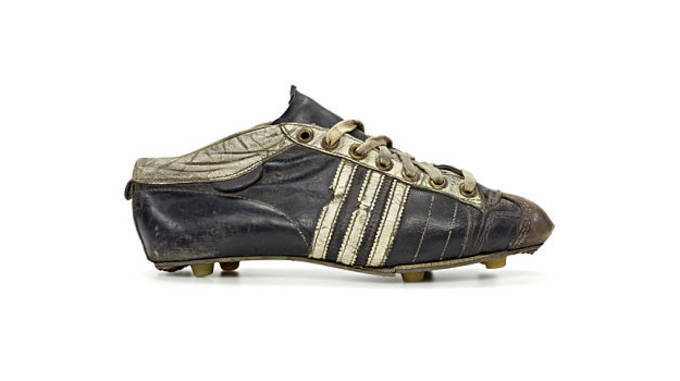 3 – adidas helped to revolutionize soccer cleats in 1953. 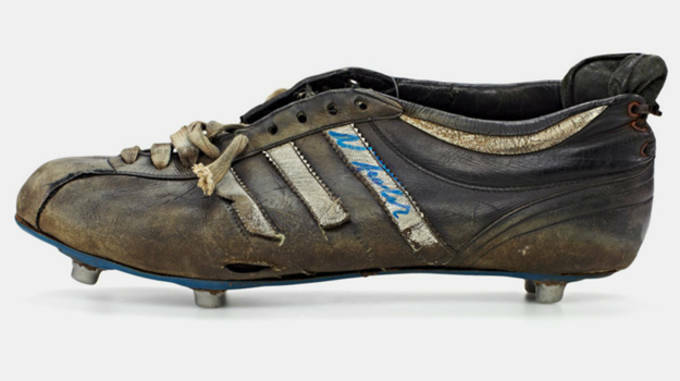 The first major adidas breakthrough came in the form of the Argentina soccer boot. At the time, most cleats had leather or metal studs that were fastened with nails and couldn’t be removed. Adi Dassler came up with the idea of screw-in studs, which could be swapped depending on the weather for varying degrees of traction. They also used thin leather uppers that wouldn’t absorb as much water as other cleats, allowing them to remain relatively lightweight. 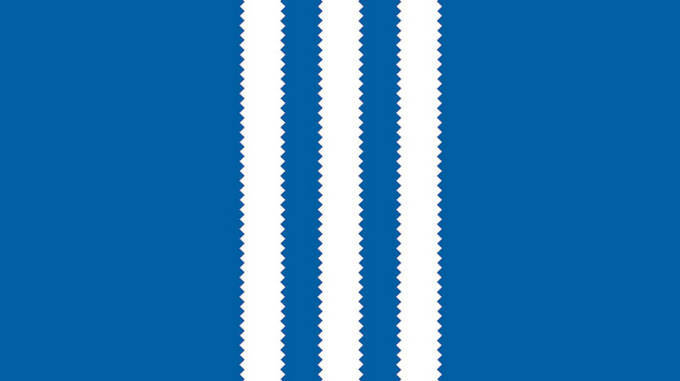 The adidas Argentina was worn by the German National Team for their win in the 1954 World Cup Final over Hungary. No. 4 – They introduced an climate control concept as early as 1958. Dassler’s World Cup innovations kept rolling in, and in 1958 he outfitted players with the Der Weltmeister (The World Champion). It was the first ever soccer boot to use a sole made of polyamide, which allowed it to retain its shape in wet weather conditions. 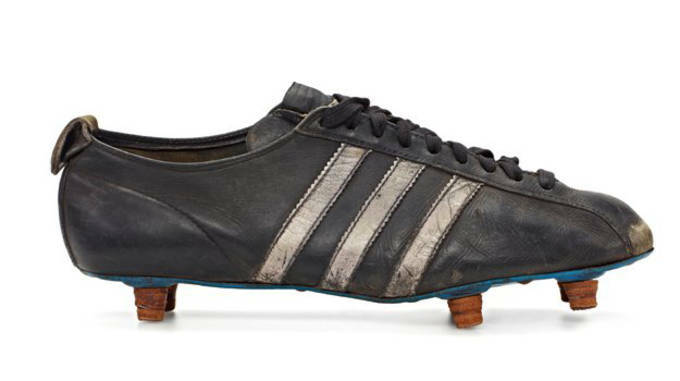 Also, after seeing how good the Germans were in 1954, more and more players were opting for adidas cleats at the 1958 World Cup in Sweden. No. 5 – Protecting players has always been a priority. The World Cup 62 stuck with the polyamide sole introduced on 1958’s Der Weltmeister and put an emphasis on protecting players’ Achilles tendons. Since boots were kept low cut for lightweight speed, it was important to add some protection in the heel area. Thus, the World Cup 62 featured a padded heel and an all new pull-tab to allow the boots to be easily taken on and off. No. 6 – adidas is tougher than leather. Originally known as the Robert Haillet, the adidas Stan Smith is much more than a fashion staple. Not only was it the first tennis shoe from the Three Stripes, but it was the first ever tennis shoe to be made up of leather, replacing canvas constructions. This allowed for added durability and comfort, and would change the entire landscape of the athletic sneaker business. 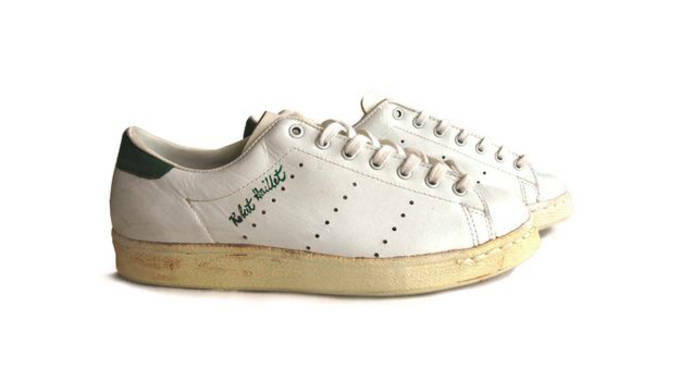 In 1971, the shoe was renamed the Stan Smith, and by 1978, Haillet’s name was removed from the branding and replaced with the iconic logo we know today. 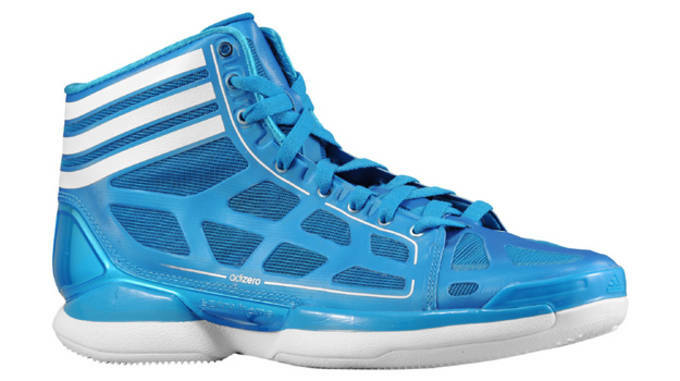 The same year, adidas introduced the Pro Model basketball sneaker. 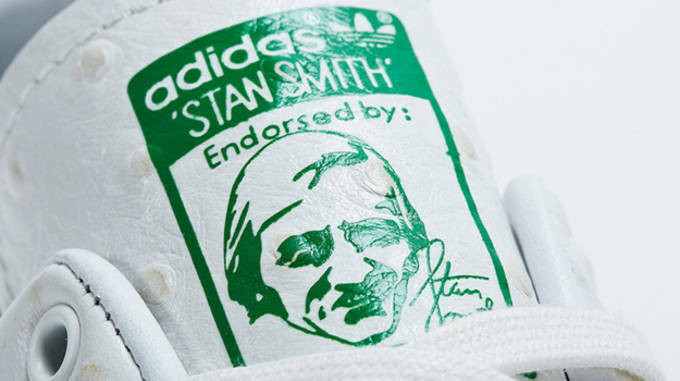 Much like the Stan Smith, the Pro Model was the first basketball sneaker to use a leather upper, and also featured a rubber toecap to protect players from getting stepped on. Years later, “Shell Toes” would be the hottest thing on the streets. No. 7 – The World Cup boot of &apos;66 was a game changer. The World Cup 62 introduced Achilles protection, but the World Cup 66 perfected it. 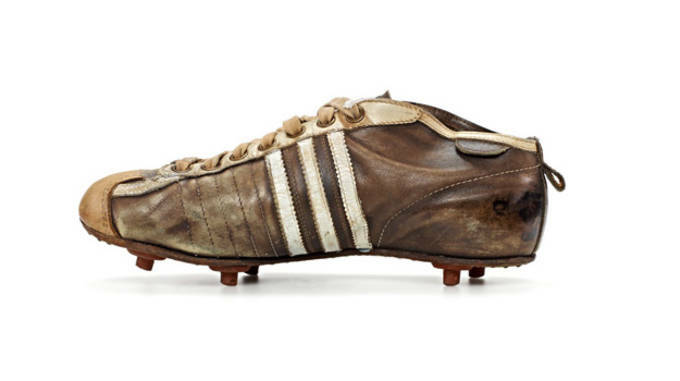 This cleat was specially made for German captain Uwe Seeler to accommodate an injury that occurred the year prior. The World Cup 66 “The Achilles” had even more padding than the World Cup 62 and introduced a heel lacing system for new levels of lockdown. As groundbreaking as its improvements were, the World Cup 66 was truly revolutionary by being one of the first shoes catered to a specific player’s needs. No. 8 – In 1979, adidas expanded their soccer line with the Copa Mundial. For the 1982 World Cup, adidas laced players the Copa Mundial, a special World Cup cleat to accompany their usual boot. The boot was originally released in 1979 and was notable for its foam rubber cushioning under the forefoot. This allowed players to play more comfortably for longer stretches, and also helped to alleviate some of the pressure caused by the studs underfoot. 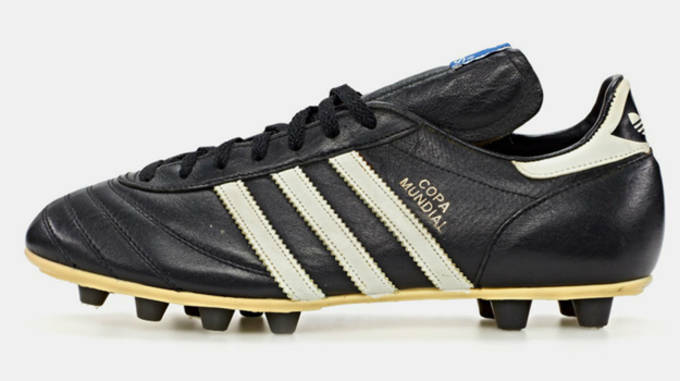 The Copa Mundial went on to become adidas’ most produced soccer cleat of all time. No. 9 – adidas hit the trails early. Trail shoes are everywhere these days, but in the ‘80s there weren’t many options for runners looking to escape the city streets. 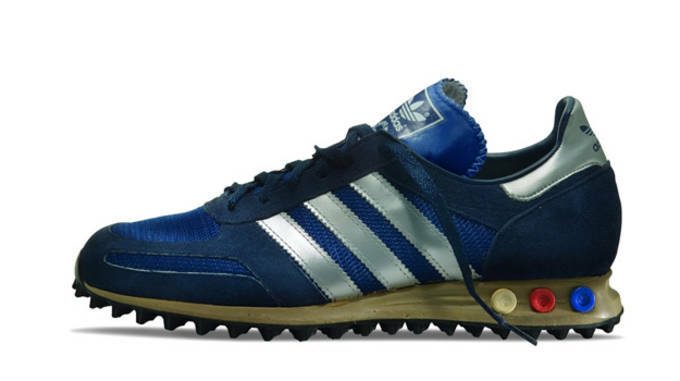 As trail running began to gain popularity, adidas struck at just the right time with the Marathon Trainer. 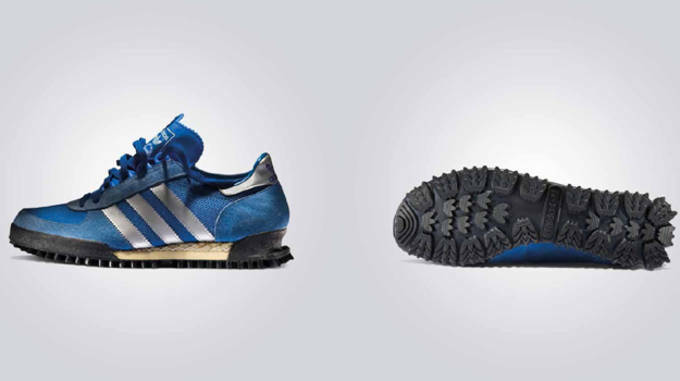 This 1982 model was inspired by Adi Dassler’s memories of childhood trail running and featured an ultra rugged sole that was equipped to take on all of nature’s obstacles. Each outsole lug was shaped in the iconic design of the adidas Trefoil logo, so they get props for being way ahead of the game on branding, too. No. 10 – They squeezed a computer into a shoe in 1984. Long before adidas miCoach and Nike+, the Three Stripes were already thinking of ways to implement computer technology into a shoe. In 1984, they did just that with the Micropacer running shoe. They squeezed the tech into a tiny sleeve that covered the laces, which seems pretty unbelievable considering the fact that cell phones looked like this in 1984. The stat-tracking system wasn’t perfect, but it was the very first of its kind, and it would serve as the groundwork for the miCoach technology of today. No. 11 – They introduced customizable cushioning. adidas has a deep-rooted history at the Olympics, dating back to the controversy that they stirred up at the 1936 Olympics in Nazi Germany. Nearly 50 years later, they were still at it, and they brought the L.A. Trainer to the 1984 Olympics in Los Angeles. The L.A. Trainer featured the brand’s customizable peg cushioning system, which allowed athletes to adjust the cushioning for that “just right” feel. The peg setup also found its way onto other notable models from 1984, such as the Grand Slam tennis shoe. No. 12 – Customizable cushioning was improved upon years later with the APS. Antipronation and Shock Absorption System. That just sounds high tech, even by today’s standards. Much like the L.A. Trainer, the adidas APS featured customizable cushioning, but this time it took it to another level. Instead of removable pegs, the APS featured encapsulated cushioning rods that could be adjusted with an accompanying key. By winding them up, the cushioning became either softer or firmer, which is something other brands would mimic in the years to come. No. 13 – The Torsion bar was made with runners in mind, but many models have gone on to attain cult followings. 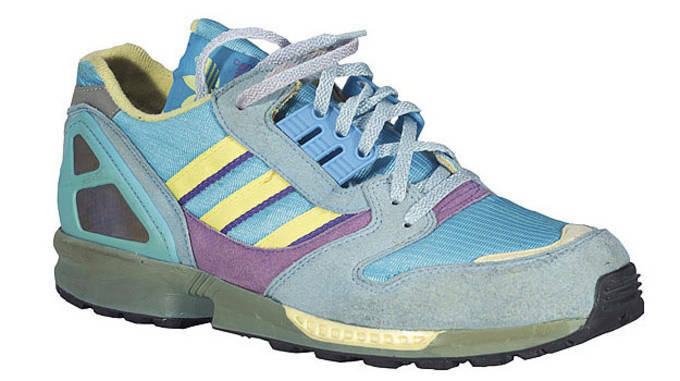 In 1988, adidas introduced the Torsion concept. By adding a thermoplastic bridge, or bar, under the midfoot, Torsion added newfound support in the midfoot to allow for a smoother, more efficient heel to toe transition. It was used on a bevy of performance models, including the ZX running line and the Torsion Spectrum basketball sneakers. Below, you&apos;ll find a classic commercial for the original Torsion hoops model. No. 14 – adidas became the "Equipment Managers of the World." While some confuse adidas EQT as a cushioning setup or a singular model, it was actually a division of the brand established in the early ‘90s responsible for creating the most no nonsense, high performance shoes that the brand had to offer. From a wide range running models (Guidance, Cushion, Support, Racing, etc.) to a number of basketball offerings and even volleyball models, adidas EQT set the tone for the brand’s performance footwear for years to come. For more info, check out the documentary blow. No. 15 – Meet the Predator of the pitch. After leading the way in early soccer cleat advancements, adidas returned with another breakthrough in 1994. 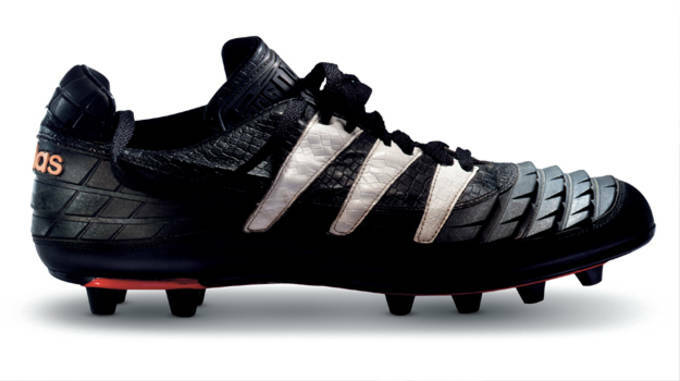 While Illmatic and 36 Chambers were bumping out of stereos, the Three Stripes were lacing players in the Predator cleat. With a vicious design that lived up to its name, the Predator’s upper was equipped with rippled “fins” in place of a traditional smooth surface, allowing for better ball control and power. The Predator also introduced adidas’ Traxion stud technology, which they’ve continued to use and improve ever since. Check out a hilarious 1994 commercial for the Predator below. No. 16 – Don&apos;t let your feet wear you. 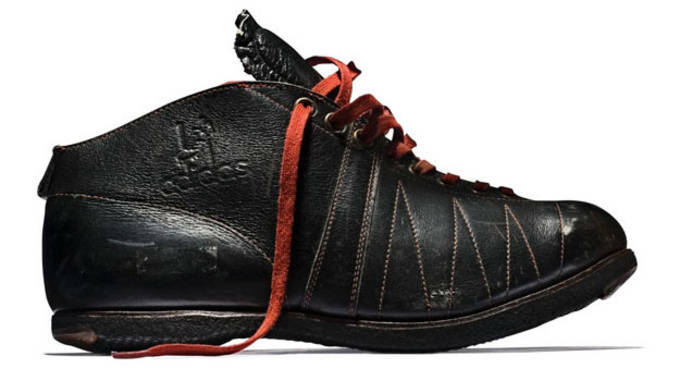 Almost a decade before “barefoot shoes” became mainstream, adidas was ahead of the curve as usual. What originated as “barefootwear” soon became known as Feet You Wear, and was officially launched in 1996. Designed by inventor Frampton Ellis, Feet You Wear was intended to contour to the natural shape and movements of the foot. adidas acquired the license in 1994 and just two years later, Feet You Wear was the brand’s biggest selling point. It was used on basketball, running, training, and tennis shoes, with one report stating that adidas had plans to use the technology on up to 90% of its footwear. Worn by Steffi Graf in her ’96 US Open win, Kobe Bryant while he still had the afro, and Keyshawn Johnson when he was a Jet, Feet You Wear was everywhere until adidas and Ellis had a disagreement over royalties. Unfortunately, years in court led to the license being ended permanently in 2003, thus putting an end to Feet You Wear tech. No. 17 – adidas was the first brand to offer 360 degree breathability on a sneaker. 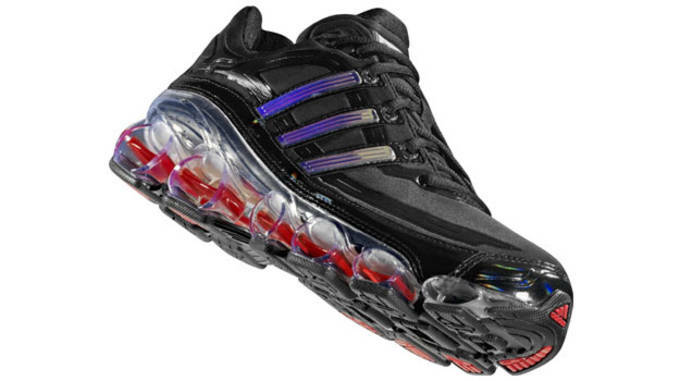 In 2002, adidas let some fresh air in with Climacool technology. This 360 degree ventilation system allowed for breathability around the entire foot, reducing the level of moisture and heat build up during activity. Through the use of special fibers on the upper, Climacool pulls from the athlete’s foot to the outer layer of the upper. But Climacool doesn’t stop there, because even the midsole and outsole allow airflow, which allows airflow through a perforated sockliner. 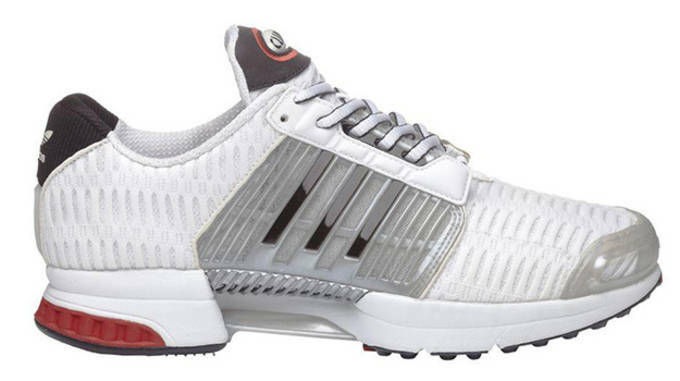 Climacool debuted in the form of the Climacool runner and quickly became a staple in both their footwear and apparel. No. 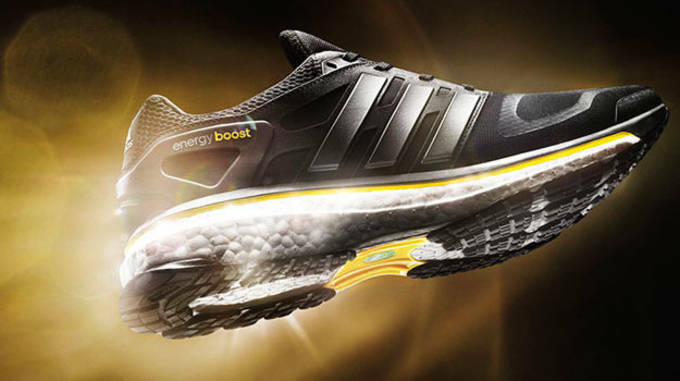 18 – Bounce was the foundation for the brand&apos;s recent cushioning breakthroughs like Boost. Years before Boost technology arrived, adidas was tinkering with ways to provide extreme energy return. One of their most notable attempts was Bounce, which is still in use on some of their models today. This suspension-based technology offered a spring-like reaction and was used on running shoes as well as signature basketball shoes for big men like Kevin Garnett, Tim Duncan, and Dwight Howard. Check out one of the original ads for a Bounce running shoe here. No. 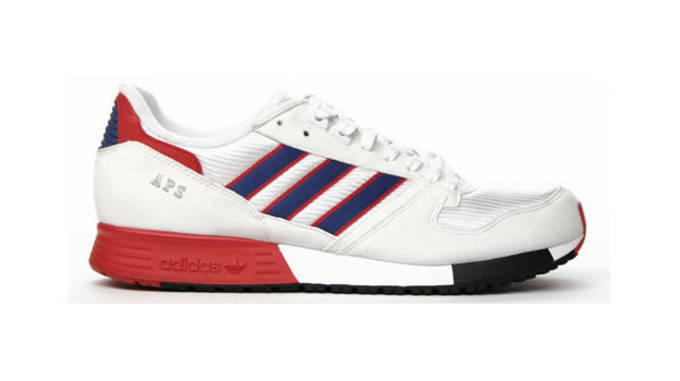 19 – adidas was always looking for a way to make things lighter and better for the athlete. As Derrick Rose’s stock continued to rise in the NBA, adidas needed a shoe that could really cater to the fledgling superstar’s needs. Enter SprintWeb technology, which was the driving force behind the Rose-endorsed Crazylight model and many of his subsequent signature models. SprintWeb is a supportive synthetic layer that backs the breathable mesh found on many adidas performance shoes. Recently, techfit has taken over as the brand’s go-to upper, but SprintWeb was important for allowing the Crazylight to live up to its namesake. No. 20 – Is Boost their biggest innovation yet? The latest and greatest adidas innovation is Boost technology. Composed of around 2,000 small TPU pellets that have been melted together, the Boost midsole redefines energy return with its spongy, spring like capabilities. Best of all, unlike traditional midsole make ups, the specially designed pellets won’t lose their shape or function over extended periods of time or in extreme temperatures. It’s really one of those “you have to feel it to believe it” scenarios, but don’t take our word for it, try ‘em out for your self. Boost has already made its basketball debut in the form of the Crazylight Boost, and it will hit the D Rose 5 on October 23 for $160.